After missing my flight in Santiago (mental note, always check in 24 hours ahead of time), I ended up with a 12 hour layover in Lima from 12 AM to 12 PM. I wasn’t sure until I arrived in Lima if I would be able to make an earlier connection so I didn’t arrange a hotel or hostel ahead of time. I also would have needed to go through immigration and security again if I had left the airport so I decided to check out the lounges and camp out until I my flight left. 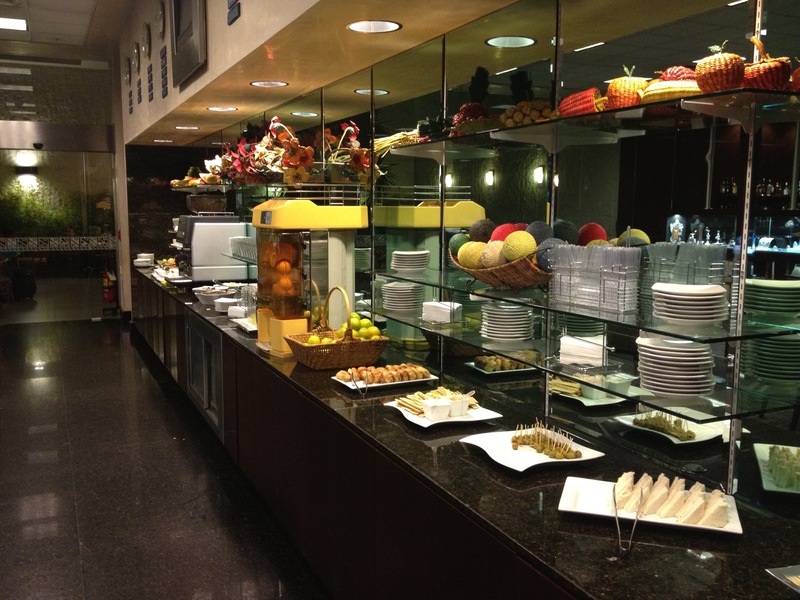 When I had been in Lima previously, I had used the “VIP Club” lounge which while a bit crowded had a good food selection. I had noticed another lounge called the “Sumaq VIP Lounge” but had assumed that it for for a different airline than LAN which I was flying. This time I decided to ask and found out that like Santiago, you can use either lounge when flying business class with LAN. As I walked into the lounge, I could already tell it was a bit nicer than the VIP Club lounge with plush furniture and a glass cabinet showing off some silver items which really gave it an upscale feel. There was also a very nice wood paneled bar with many different liquors on offer and an accommodating bartender ready to chat the night away if needed. Since I had been in the airport all day the day before and arrived after midnight, I was happy to see that they not only offered showers for your use but also had a rest area room with these comfortable looking chaises where you could get a bit of rest if needed. The food was typical if a bit lighter than the VIP club room. In the morning they had hard boiled eggs, cereals, toast and jellies. They had the requisite fancy coffee maker for your latte or expresso needs and even a fresh squeezed orange just machine that would cut and squeeze you a class when you fed it the supplied oranges. The internet was shared with the other VIP lounge and in typical Peruvian fashion it was quite slow with 380K down and 100K up. I certainly would get frustrated trying to send any large files here! Having a shower and then napping for a few hours made my long layover much more enjoyable and made me refreshed and ready to tackle the 7 hour flight back to Miami. 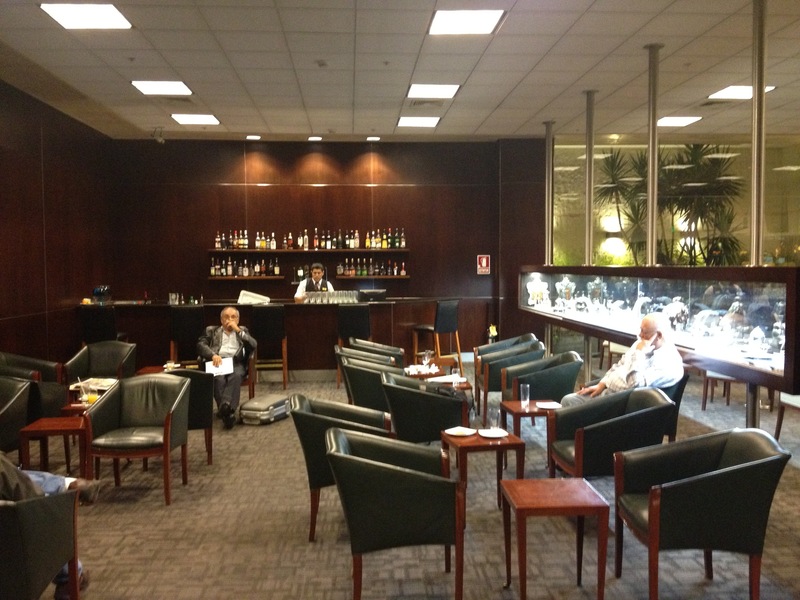 Particularly for overnight layovers, I would recommend the Sumaq lounge instead of the VIP lounge in Lima.